Potlucks are a Southern thing. What could be better? Hanging out with friends, family, and other loved ones while tasting a unique dish that each guest brought to showcase. Whether you’re attending the church homecoming, a family reunion, friendsgiving, or a monthly neighbor potluck, you always want to bring an A-game recipe. 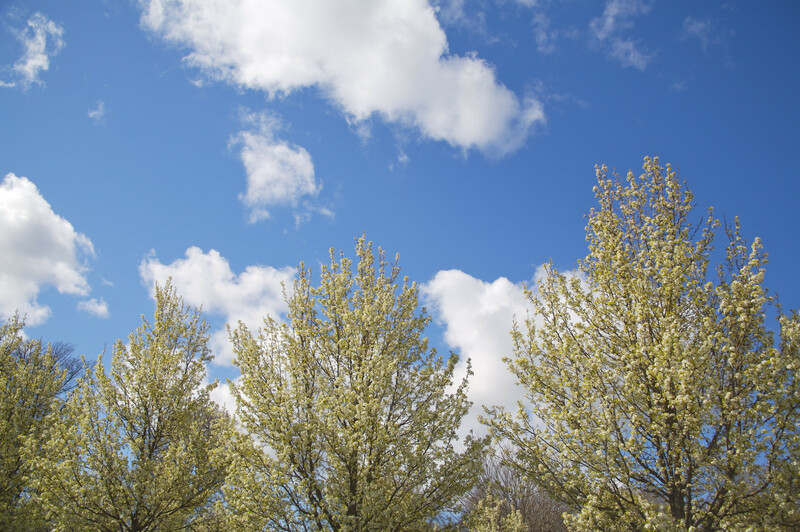 It’s the ultimate compliment when you hear, “Who made the chicken salad? 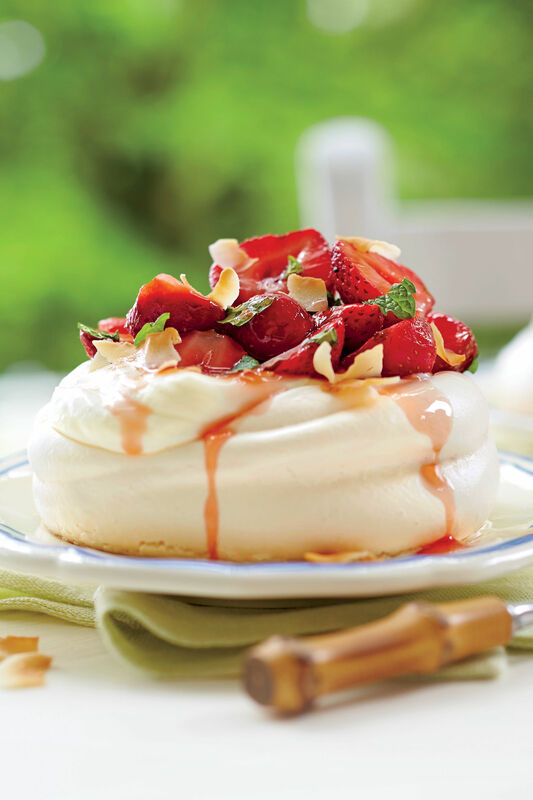 I have got to get that recipe!” Go ahead and sign up to bring dessert to the next get-together, because these potluck dishes have got you covered. These potluck desserts have high yields for even the biggest gatherings, and there’s something for every occasion. 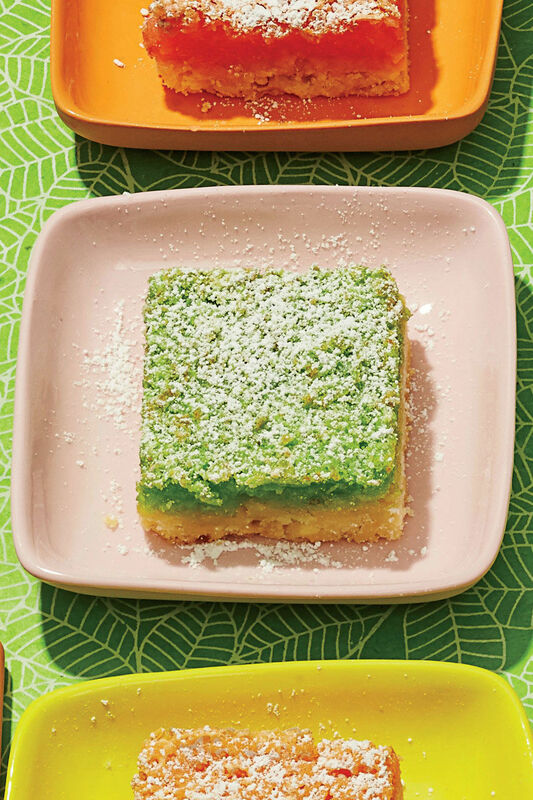 This party-perfect sheet cake tastes like spring in a bite. Since we rediscovered this vintage recipe, we prefer sweet lasagna over savory. This decadent chocolate cake comes together with a handful of pantry staples. You only need four ingredients and 35 minutes (prep and bake time together!) to make a huge batch of these sweet peanut butter cookies. 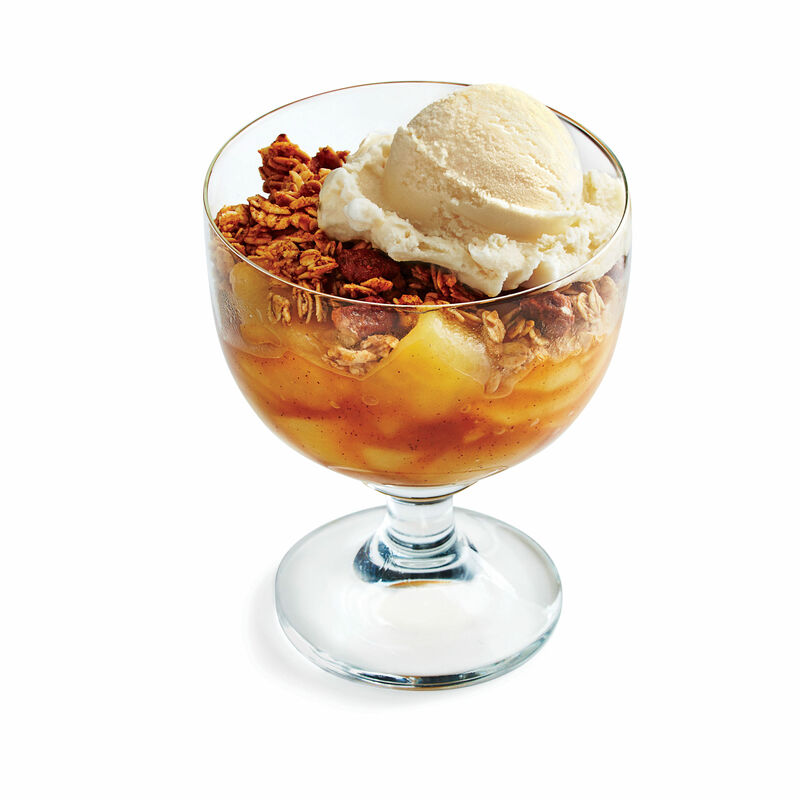 This fresh peach cobbler couldn’t be easier for serving a crowd in the summertime. Lemon bars are a forever attendee at any potlucks we host. 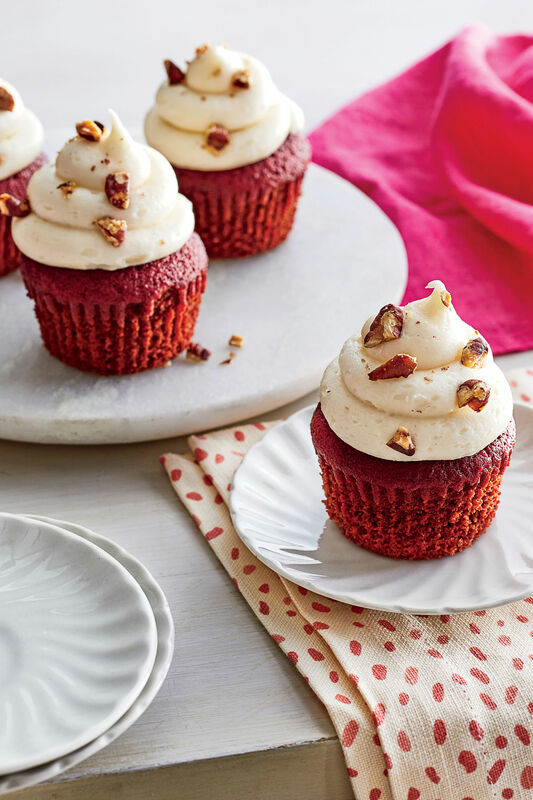 No one will ever suspect these gorgeous cupcakes started with a box of cake mix. Stray away from the usual chocolate chip and oatmeal cookies with this recipe that would be fun for the holidays. There’s no better combo than chocolate and peanut butter, and these bars are the best way to enjoy them. There’s nothing more decadent than a layered chocolate dessert. If you’re serving a seriously big crowd, this recipe makes about six dozen. Get everything you love about carrot cake in easy-to-serve cupcake form! Top with egg-shaped, chocolate-coated malted milk balls if you’re gathering around Easter. This recipe makes dozens of tarts, so every guest can easily pick one (or two) up and still have room on their plate other potluck goodies. These bars look impressive, but they’re so easy to make. 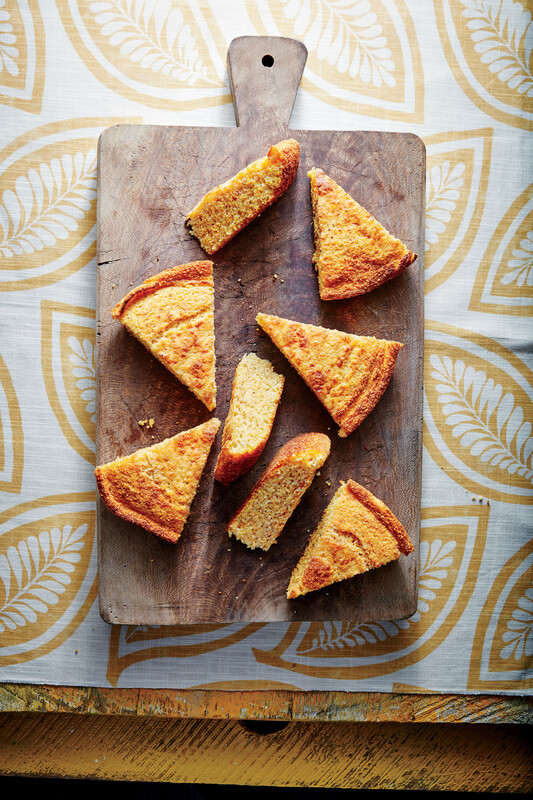 They’re perfect for a book club potluck or girlfriends’ get-together. Cream soda and confetti sprinkles make this cake ready to party, regardless the occasion. These mini pound cakes are the best for quick grab-and-go service. 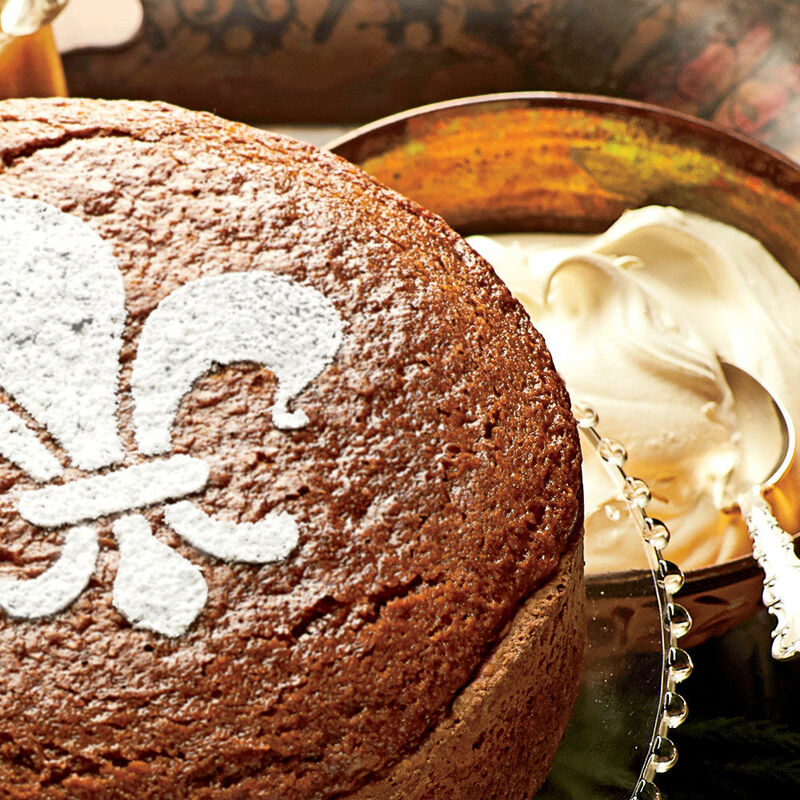 This warm fall cake would be perfect for the church homecoming potluck. An all-time classic, chocolate chip cookies will never fail you when you need a dessert recipe. You’re a few ingredients and a little time away from three dozen of these gooey, irresistible bars. These berry-filled cupcakes can be made ahead and frozen for when you’re in a pinch. 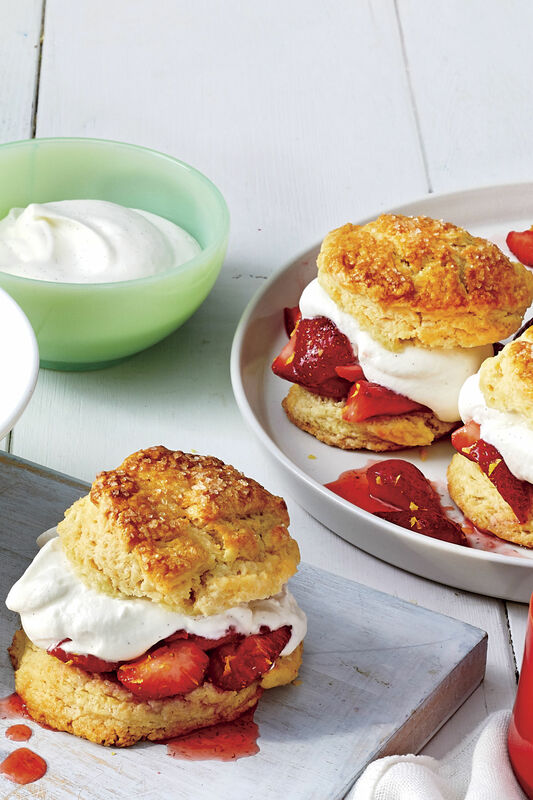 Both the cupcakes and frosting make use of fresh summer berries. 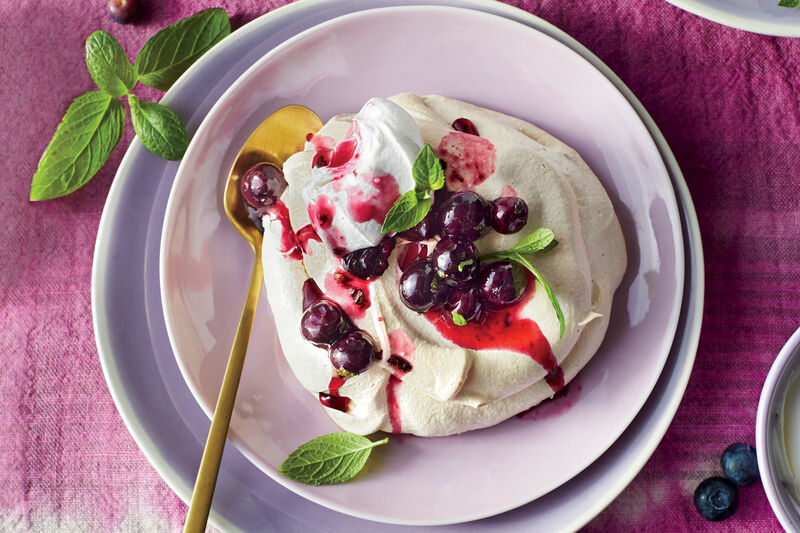 This stunning dessert would be festive for a Christmas potluck. 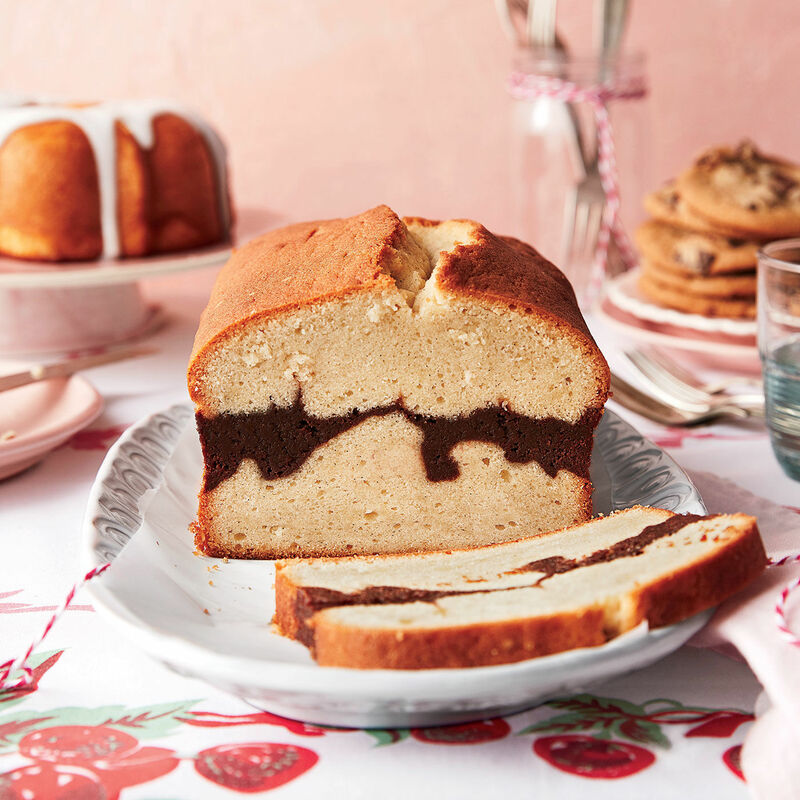 As with any good Texas sheet cake, be sure to pour the warm icing on the fresh-from-the-oven cake so they meld together for the most indulgent result. Has anyone ever been able to turn one of these bite-sized beauties down? 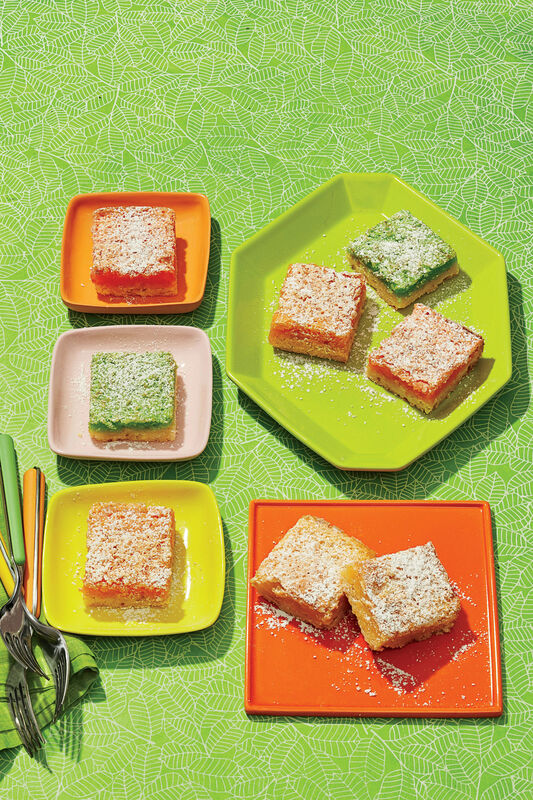 These luscious bars taste like a tropical vacation. With three kinds of milk, every bite of this coconut cake is moist. Our most popular cake of all time, the ever-delicious Hummingbird Cake, gets the cupcake treatment with this pretty little recipe. Switch up your traditional fudge recipe this fall with a pumpkin twist. Toasting the oatmeal doesn’t add much time but adds so much depth to these chewy cookies. 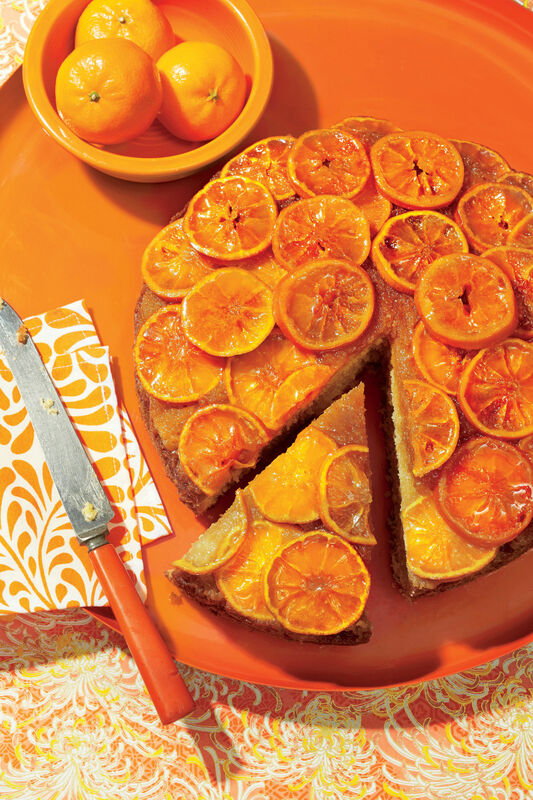 You know there will be a plate of brownies and chocolate chip cookies at the potluck, so brighten up the spread with colorful citrus bars. Light, fluffy, and oh-so-satisfying, angel food cake is always a crowd-pleaser. Both the cookies and the filling in these thumbprint cookies have a blend of chocolate and peanut butter for the dreamiest result. If you’re a coconut cake fan, you have no excuse not to try this decadent, coconut-filled recipe. This beautiful trifle makes the most of fall flavor with spice cake layers. This Arnold Palmer-inspired cake will be the star of a summer potluck. 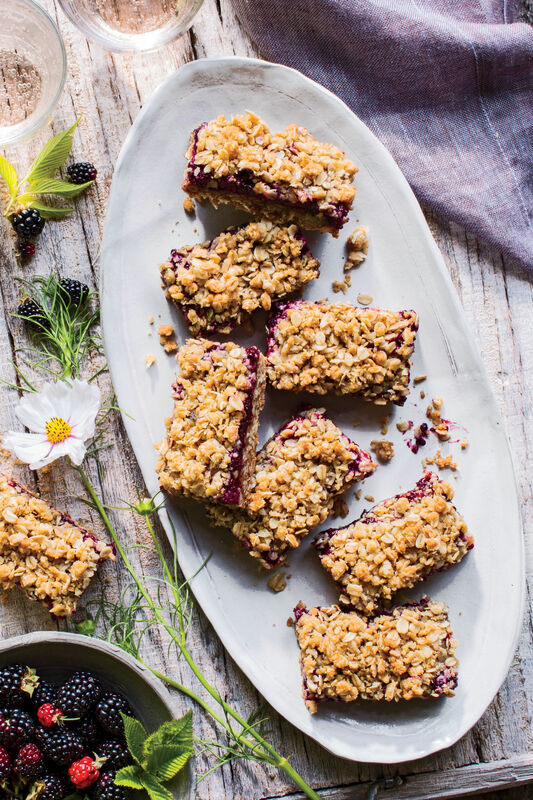 Use your farmers’ market haul of fresh fruit for this fun summer cake. Enjoy classic cherry pie in big-batch form with these bars that have a simple and sweet ingredient list. If you’re attending a cookie swap during the holiday season, these cheesecake cookies will knock the competition out of the park. Not that it’s a competition, but, if it were, you’d definitely win. These mini cupcakes will add a bright pop to any dessert table. 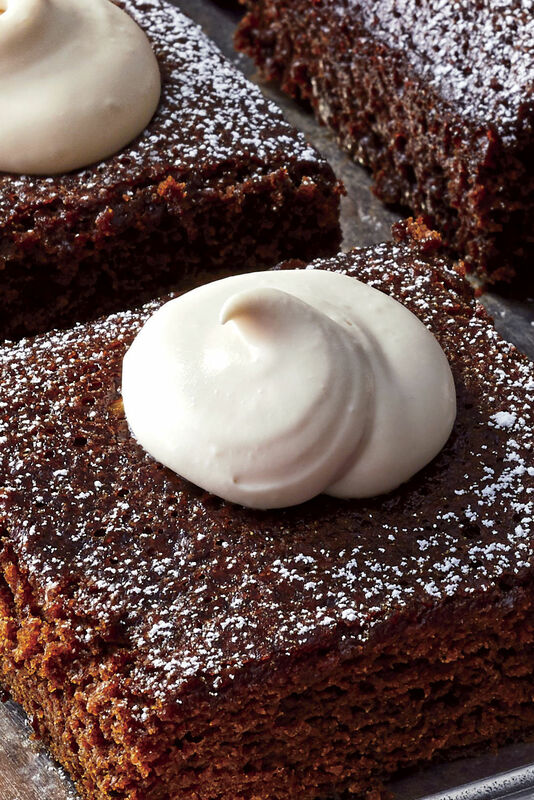 If your friends obsess over pumpkin spice during fall, this sheet cake is the one you should bring to every potluck and friendsgiving. When in doubt, a batch of warm brownies will always be well-received. Bourbon and cola cocktails are a favorite tailgate drink, but the flavor combo will become your new favorite tailgate dessert with this recipe. Even the most novice cooks can put together a gorgeous trifle that will look impressive (but is so easy!). If it’s too hot to even turn your oven on but you need a potluck dessert, look no further than this no-bake treat. This first-lady favorite dessert is one of our go-to desserts for feeding a crowd. 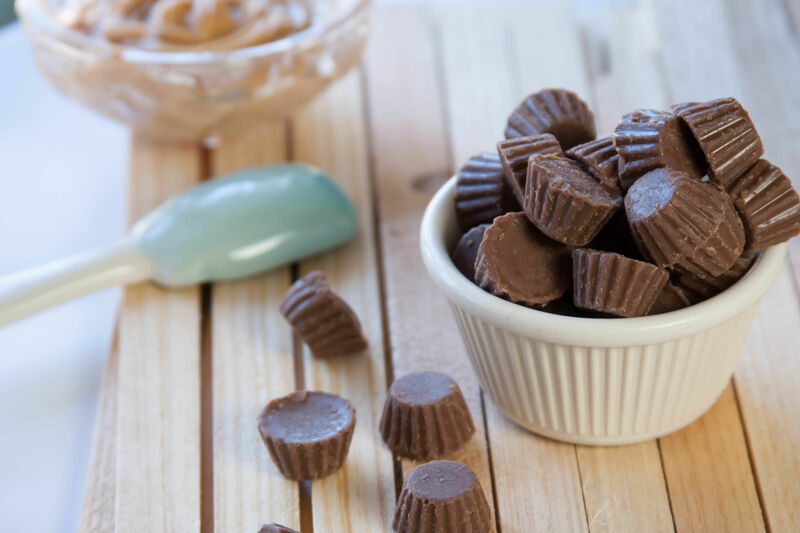 If you’re attending a potluck with little ones, you should do the honors of introducing them to this vintage favorite dessert. If you’re a diehard lemon bar lover, you’ll enjoy this twist on the classic. Sprigs of fresh rosemary are a festive garnish if you’re making this trifle for a holiday party. These cookie cups will stand apart from the usual spread of cookies and bars, and you can make this dough ahead to save you time the day of your potluck. This easy twist on a classic Texas Sheet Cake starts with a box of cake mix to save you time. 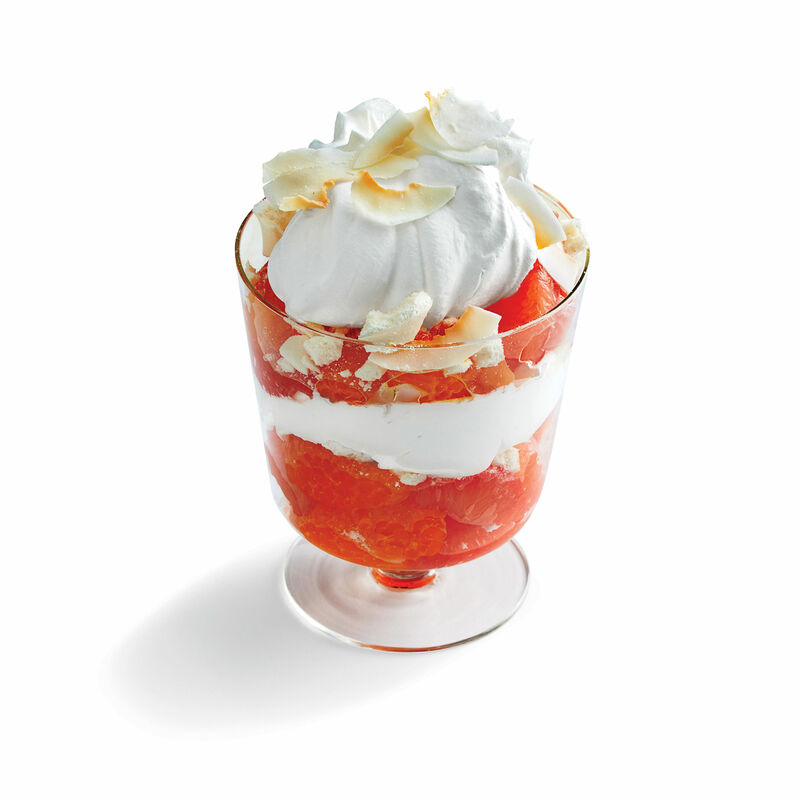 This beautiful trifle is perfect for a holiday potluck when you need a crowd-pleasing dessert. 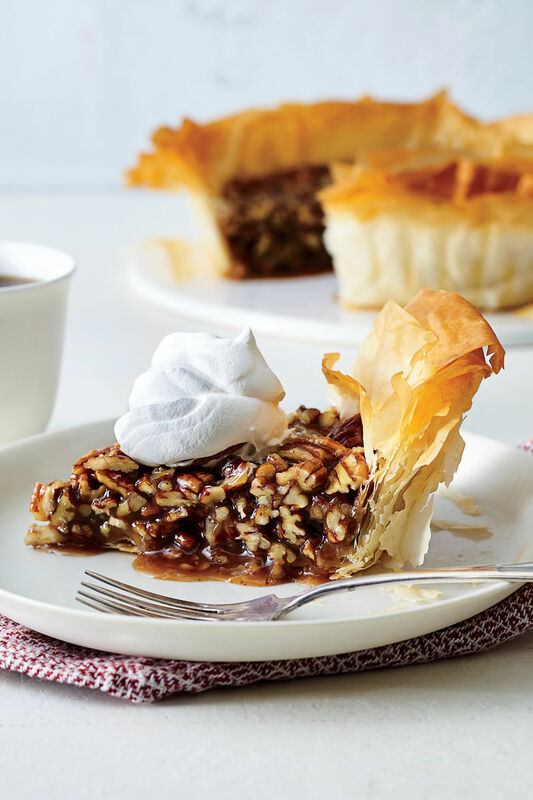 Ground cinnamon and ginger give classic pecan pie a welcome zing in this big-batch recipe. These little lemon bits are filled with raspberry jam for a fruity punch, and this recipe makes a ton of them for even your biggest potluck. 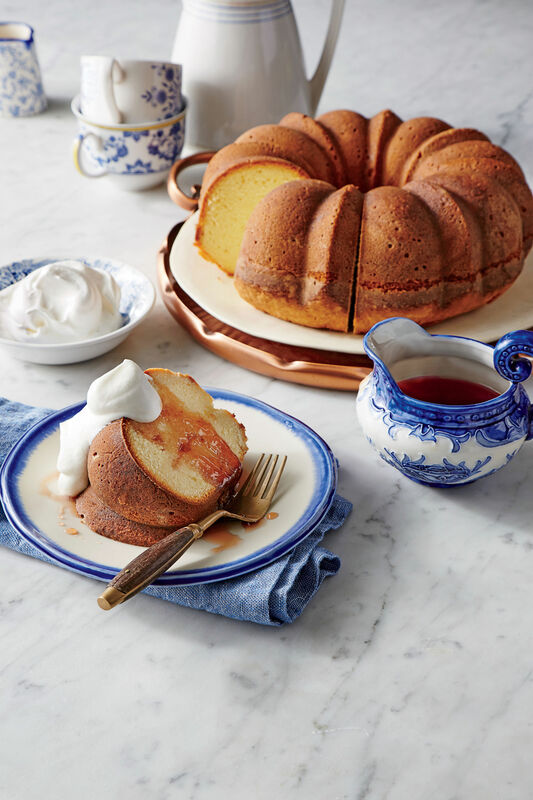 These sweet little cakes will wow everyone at your spring potluck. Give your brownies a welcome fall twist with this unique recipe that’s perfect for a Thanksgiving potluck. This classic Southern sheet cake has never been turned down at a potluck. These cookies couldn’t be stuffed with more sweetness if we tried. 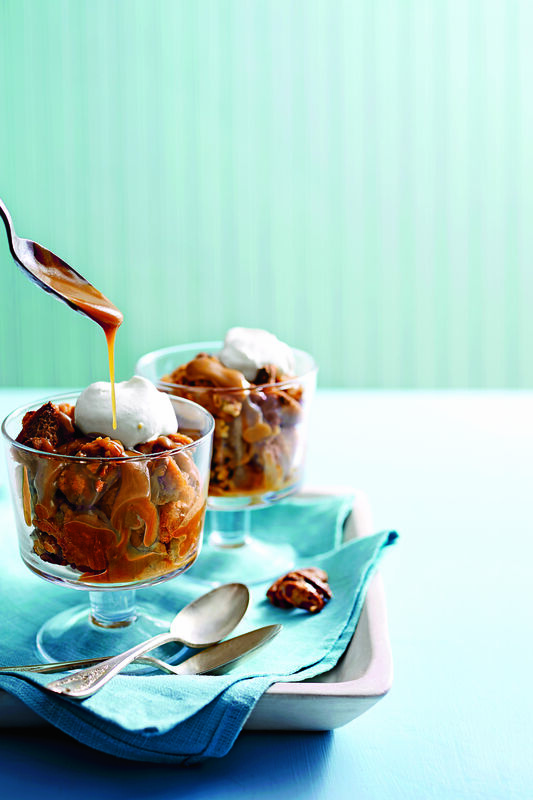 If your crowd is too big to feast on a pecan pie, make it in bar form so everyone can enjoy. Beets are a natural way to dye your favorite sweets a luscious red, and no one will be able to taste the difference.